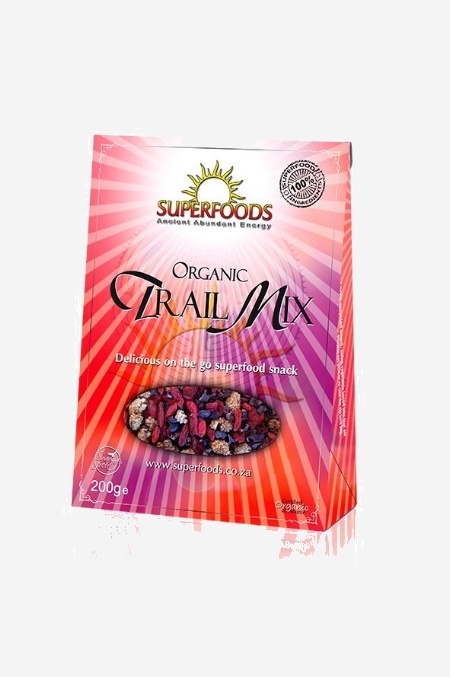 Packed with the power of three superfoods this trail mix is the perfect on the go supersnack! The simplest is to snack on it as is. Packed with the power of three superfoods this trail mix is the perfect on the go supersnack! The simplest is to snack on it as is. Carry it with you or leave a box at work so when you feel like a snack you have something great at hand. Its a clever way to avoid vending machines too. You could also use it as a crunchy sweet breakfast topping for chia porridge, oats or muesli. Add a handful to your favourite smoothie and blend.